There’s lots to learn for media, marketing and public relations from Mary Meeker’s annual Internet report but be wary of the US bias if you live or work elsewhere. 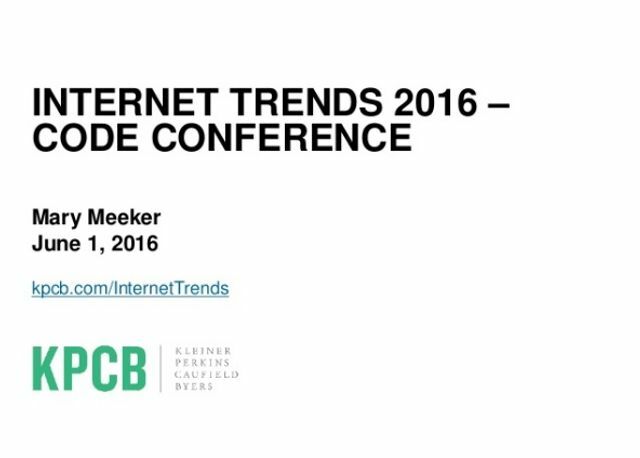 Mary Meeker, an analyst turned venture capitalist at Kleiner Perkins Caufield Byers (KPCB), has published her annual Internet Trends report for 2016. Brands as experiences, voice recognition, and the over valuation of print advertising, are all highlights from the report. I’ve worked my way through the 200+ page report this weekend. Here’s what I spotted.